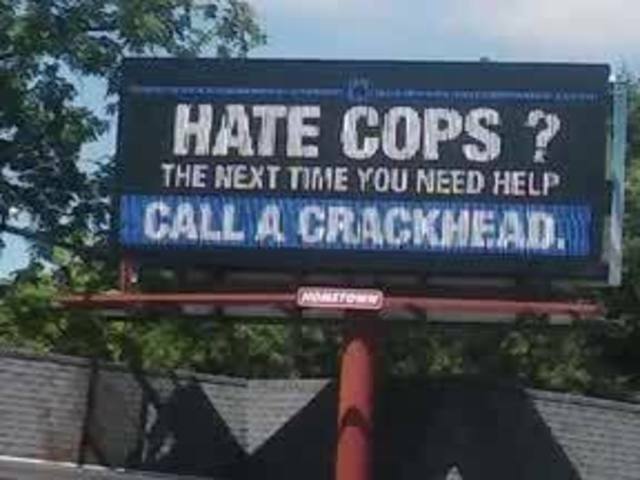 A digital billboard that first showed up over the weekend in Indiana has sparked a lot of debate online and in-person, with some residents calling it flat-out racist. The message on the billboard has since been removed by the man who owns the sign, but photos can tell the history of this controversy. And while Gary Dragoo, the owner of the company behind the billboard, took down the message, he says he stands by what it said. But it’s a message that shocked and upset many in Muncie, sparking one woman to turn to Facebook to spread the word. 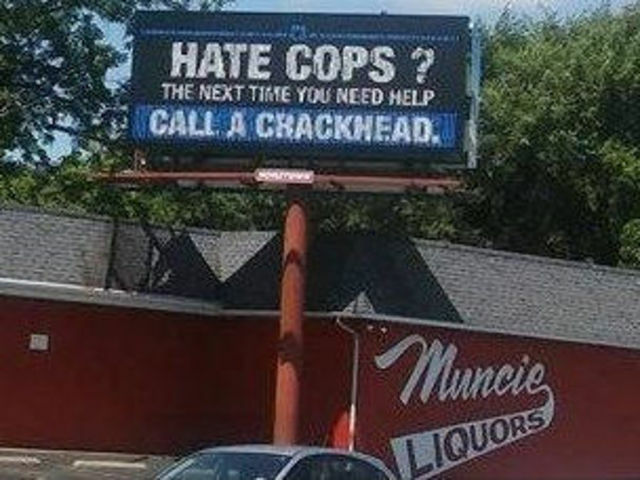 Muncie mom Megan Thomas calls the billboard divisive and racist, posting a photo of the billboard to Facebook – a photo that’s now been shared thousands of times. Thomas, who has since received threats after posting the Facebook photo, says it’s racist because it’s a known fact that crack has impacted the black community the hardest over the years. She also pointed out there was a Black Lives Matter protest the same day she noticed the billboard just a quarter of a mile away from where it was posted. Dragoo says the sign isn’t meant to be bigoted: He claims it’s meant to support and honor police. Dragoo did decide to change up the sign, making his new message more clear-cut in its support for police and less likely to be interpreted the wrong way. He says he wasn’t ashamed of the old billboard, but he took it down out of respect for the nearby business – a liquor store – that was getting complaints. Thomas maintains this isn’t just about race: It’s the fact that, through the message, Dragoo was making light out of the seriousness of drug addiction.